GK MusicTop - professional template theme from the popular musical development team GavickPro. 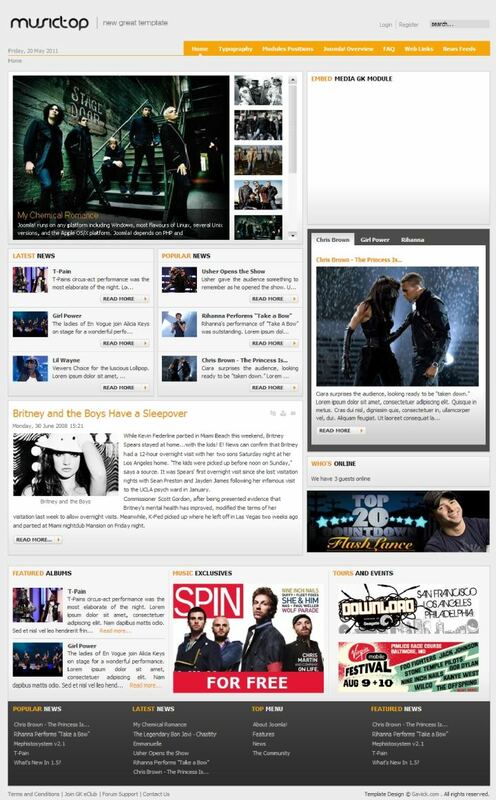 Stylish design template is ideal for music portals, where you can download music of any genre. Functional framework Gavern pattern gives excellent optimization, fast download speed and cross-browser support. In the assembly includes expansion club studios that provide flexible display on the site. Flexible modular design provides the optimum location of all modules on the site.